The findings are those of a benign vasoformative lesion of blood vessel endothelial cell derivation. The morphology in this case is very distinctive for a rare benign vascular lesion, namely the hobnail/targetoid hemosiderotic hemangioma. It is characterized by a solitary papule on the limbs or trunk of younger and middle aged people. Some authors prefer the designation of superficial hemosiderotic lymphovascular malformation. Some authors have postulated trauma to lymphatic vessels with the development of lymphatic vascular malformation as being pathogenetically key. 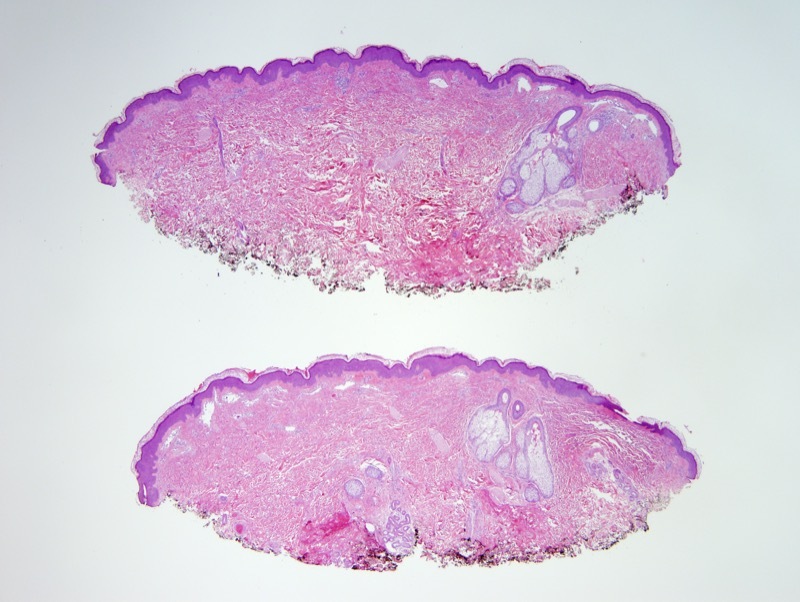 When one examines the light microscopic findings there is some degree of scar, extravasation of red cells, hemosiderin deposition, telangiectasia and lymphectasia. These lesions are quite small with a central violaceous papule surrounded by an eccentric ichthyotic rim resulting in a targetoid appearance. 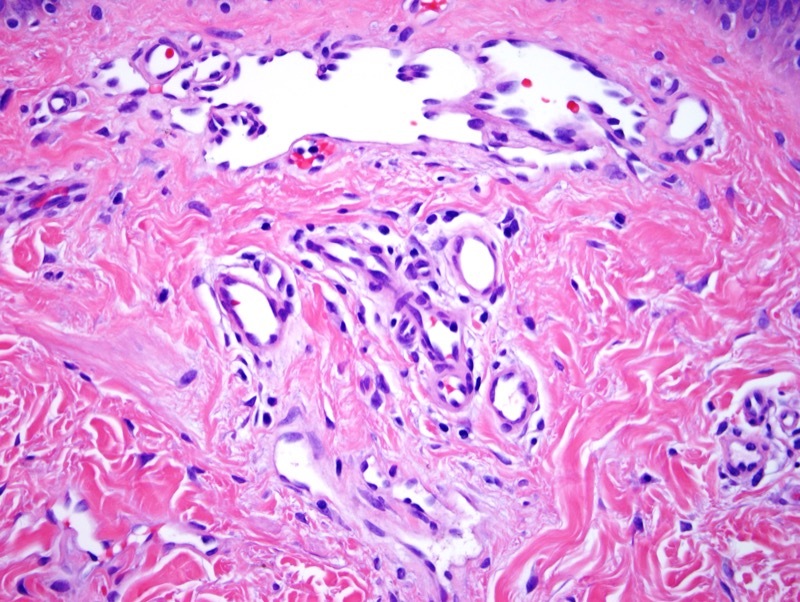 Well formed dilated vascular spaces with protuberant endothelial are present in the superficial dermis with protruding or hobnailed endothelial cells lining superficial vessels. 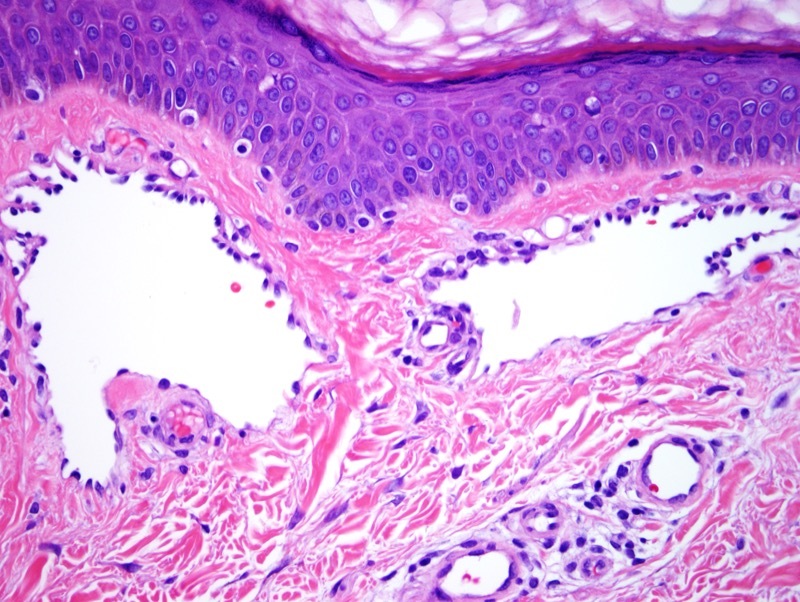 There is variable hemosiderin and red cell extravasation. 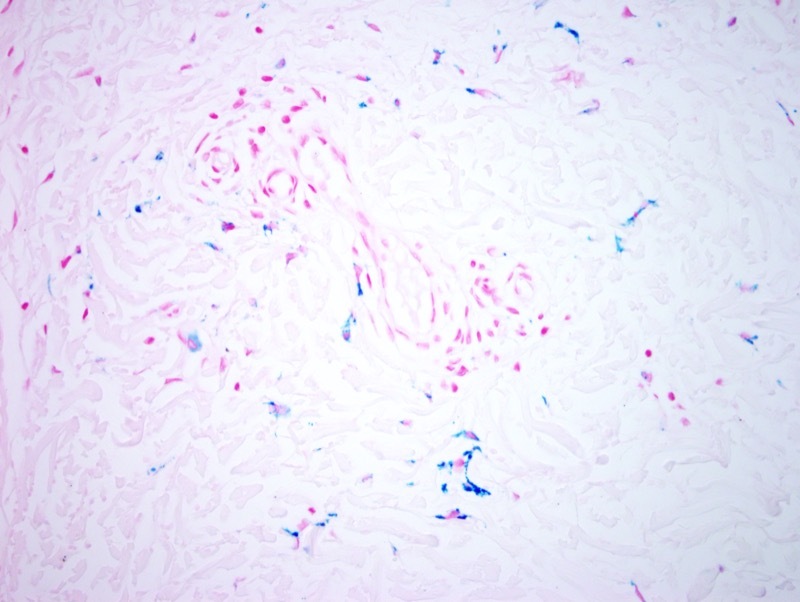 The lack of endothelial cell atypia militates against the diagnosis of angiosarcoma.